Old cars. 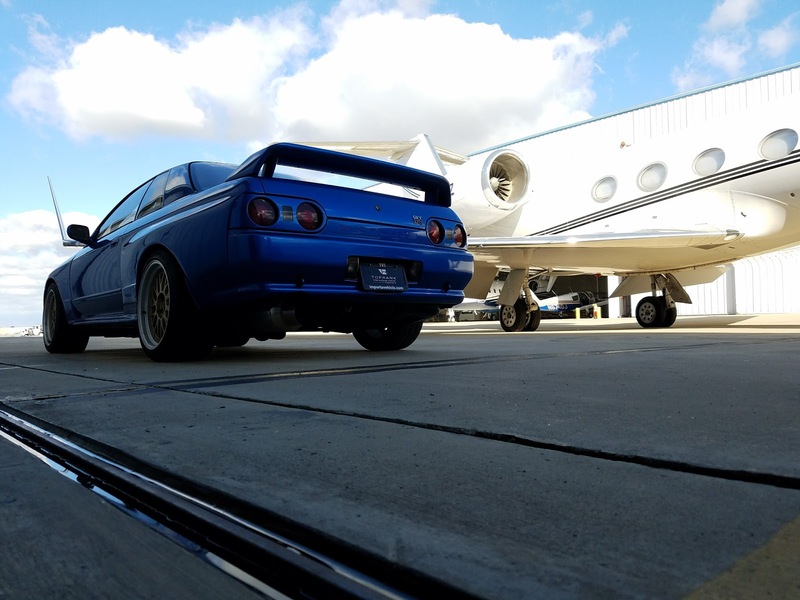 R32 Nissan Skyline are old cars. 25, 27, maybe 30 years old by the time you get around to needing this guide. Parts don't last forever. 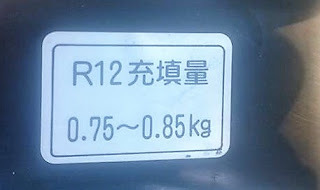 The cars all used R12 refrigerant, which you know is harder to get than legal cocaine. R12 has been phased out of the US since 1996. It was replaced with R134a, which now seems like it might also be ending life on earth, so something new will probably be the latest greatest refrigerant that doesn't kill everyone in a week. R32 GT-R A/C control panel pulled out of the dash. A/C systems are fairly complex, as they have a lot of parts. They are mechanical, electronic, and they have gases under high pressure. They really aren't for the novice to automotive repair. Generally we would recommend taking the car to an A/C repair shop to discharge, or recharge the system. While the Nissan Skyline may never have been sold in the US, the parts of the system are very similar to other models sold in the US. The first thing to try, is just cycling the unit. Turn it on, go from heat, to A/C and change the recirc settings. See if this frees anything up. Sometimes the doors stick, and just cycling it will help to make everything work again. After that, there is a way to put the A/C into diagnostic mode. What you do is hold down the OFF button on the A/C unit while starting the car. Continue to hold the OFF button down, until all the lights on the A/C unit light up. It is now in diagnostic mode. If you let it go early, you have to turn car off, and try again. For complete troubleshooting, download the R32 service manual, and hit up the HA section. Does it sound like you have a monster in your dash? Do you have to explain what is going on when cycling though A/C or heater settings? It is probably this A/C mode actuator. The gears in the unit get worn out, and they emit a pretty bad sound. There are several available on ebay here. If your A/C is blowing fuse #5, it probably has a bad A/C compressor clutch. If you need a new compressor, they are available here. A 1990 Nissan 240SX expansion valve works. An expansion valve is an AC component that is commonly found on many road going vehicles. 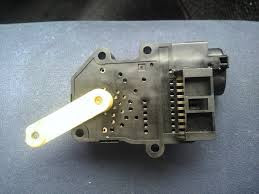 It is usually installed at the evaporator inlet and works together with the orifice tube to regulate the flow of refrigerant through the vehicle’s AC system. Too much refrigerant flow and the evaporator core will freeze over; too little and the evaporator core will overheat and compromise the efficiency of the AC system. 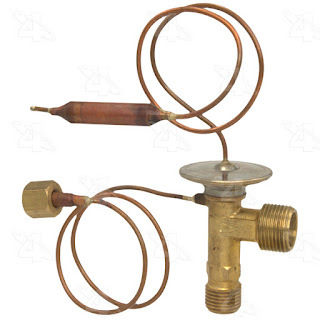 The expansion valve meters refrigerant flow according to evaporator temperature and the load and cooling demand of the AC system. Conversion of R32 GT-R from R12 to R134a. This is the cheap and dirty way to do it. A much better and more expensive way is to replace all the hard parts, condenser, compressor, and recharge with R134a. 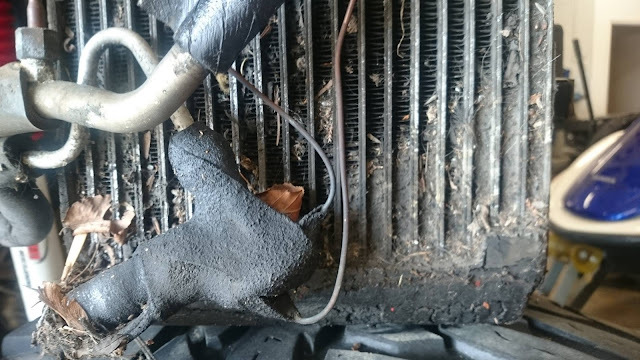 Per a suggestion from Sean Kirby, also clean off/out your evaporator. Great advice to get the most out of the system. Old cars, old systems. R134 A/C manifold for filling, extraction, and testing pressures. All the old refrigerant needs to be removed. Then flush the old oil and any contaminants out of the system. Replace all the old o-rings with R134a compatible o-rings. Vacuum the system, this step really helps with cooling. There are some other options, R12 substitute. Traveling to Mexico to get R12 on the black market. Living without A/C. 2 at 65 A/C - cooling. Over time, we will add some of those other options here. Some cars don't have the auto amplifier A/C heater unit, but those are pretty rare. I tried ordering a expansion valve for my R32 GTR but it's discontinued. Would one from a S13 or 300ZX work? Thanks. How much oil and gas needs to go back into the system?